What an apt title… For someone who spends most of her life watching musicals, listening to musicals or even being in musicals, I knew this show would be right up my street. With a star cast of West End favourites it certainly didn’t disappoint, with amusing lyrics that anyone with stagey bones will appreciate. I Wish My Life Were Like A Musical is a new musical revue, part of the Live At Zédel programme, written by Alexander S. Bermange. Four performers discuss the ups and downs (mostly downs) of live within the theatre – that despite the shining lights of on-stage stardom, the reality is not quite so bright and performers often dedicate themselves to a life of unsuccessful auditions, crazy fans and falling for gay guys. I’m not sure this piece could be more perfectly cast, with four of the most sought after actors and actresses in musical theatre right now. Suzie Mathers (Wicked, Mamma Mia), Oliver Savile (Wicked, Phantom), Liam Tamne (Rocky Horror, The Voice) and Diana Vickers (Rocky Horror, X Factor) are a great comedic team as well as exceptional soloists. With song titles such as Standing By, When A Fan Loves a Woman and You Can’t End a Show Without an Encore, you know Bermange has meticulously scrutinised every moment of a theatrical career and cherry-picked the moments that, sometimes, you just have to laugh at. Highlights include: Liam Tamne’s Only Then Can I Truly Perform, where pre-show rituals get out of hand for just a mere line on stage; Audition by Diana Vickers, where I’m sure every performer can relate to the joys of waiting around all day for little recognition; and A Serious Actor, where Oliver Savile ponders a career change filled with more profound roles. For me Suzie Mathers steals the show. Her comic timing is spotless and she knows precisely how to use her voice to fit every lyrical joke. I Love to Sing and The Diva’s in the House could have been written for her – she performs them to perfection. This is a brilliantly funny night out, albeit maybe suited to those with first-hand experience, although anyone who has a slight interest in theatre can understand pokes at unnecessary encores and Russell Crowe’s dismal Les Miserables performance. Bermange surely knows his industry and craft, and directional and orchestral assistance from Paul Foster and Jerome Van Den Berghe just puts the cherry on top of the cake. 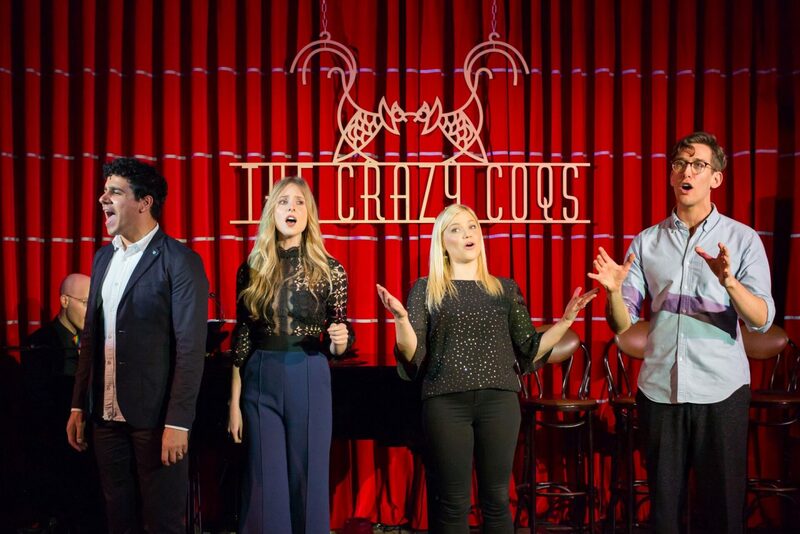 I Wish My Life Were Like A Musical is at The Crazy Coqs at the Brasserie Zédel until Tuesday 17 April. With some performances selling out grab your tickets quick by booking here.